Tomorrow, Wendy's and its team of red wig wearing goofs will take over the Heavy.com site at 10AM EST for a 12 hour period. 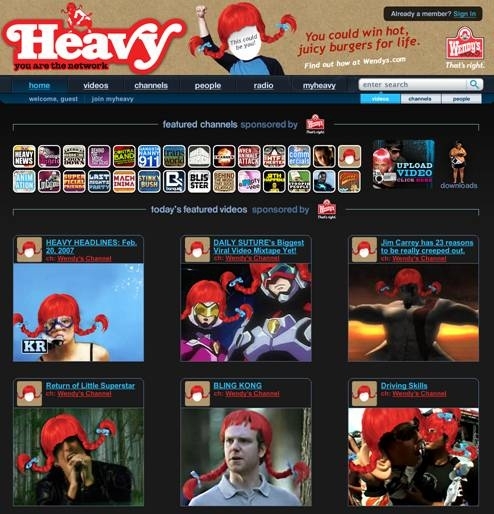 The site will be emblazoned with Wendy's and red wig goodies including the magical placement of the red wig atop people's heads in videos featured on the site. While some may disagree, we think the red wig campaign is one of the best since "Where's the beef?" barring, perhaps, Dave Thomas' long running appearance as spokesman.